If you are currently looking for a toilet that is eco-friendly, budget friendly and pleasing on the eye, then an Eago toilet may well be exactly what you are looking for. After checking out the full range of Eago toilets, we are pleased to report that we have selected our top three. These three picks are the best combination of design, innovation, conservation and good pricing. We are confident that our research will show you exactly why we have selected these particular models – and we hope that by conducting this research, we have saved you much time and effort. You may be wondering why you should choose an Eago toilet. We believe that Eago Toilets are the toilet brand of the future. Their mission statement does a fantastic job of summing up what the company is all about. Eago toilets bring about the perfect fusion of design and practicality while remaining both affordable and eco-friendly. They are a brand to watch. They incorporate the latest in flushing technologies alongside self cleaning glazing to bring you the most up-to-date innovations on the market. This, coupled with their clean designs, makes Eago Toilets a must have for any bathroom. Below you will find a table that will enable you to compare our top three Eago toilets at a glance, allowing you to decide which one(s) you think might be the most suitable for your home. This section will give a more detailed evaluation of our three top picks. Firstly, it’s important to mention the features that are included as standard on all three of these models. All of the models are one piece toilets, meaning that the tank and bowl are in one piece. This makes fitting the toilet considerably easier and negates the need for visible joining pipes. All of the models come with dual flush technology. This technology allows you to select a low pressure flush for liquid waste, saving even more water, and in turn, money, or a longer, more high pressure flush for solid waste. They all have a three inch flushing valve, which is more efficient than the old flapper valve seen in older models and means there is much less chance of needing a repair. All of the models come with a soft closing seat and lid. This ensures that your toilet looks exactly the same as the one pictured. The soft close prevents loud, obtrusive slams and helps to ensure no children get their fingers caught! “So simple, yet so genius”. The Eago TB353 Toilet is the most traditionally designed toilet of three. It is sleek and simple, combining straight lines with glistening white ceramic. The toilet is easy to clean due it’s wider bowl. The elongated bowl makes sitting on the toilet comfortable, and the chrome finish flushing button adds the perfect final touch to make this toilet practical and traditional in appearance. The bowl height is just over fifteen inches which is the recommended height for the standard toilet bowl. The best rated on popular retail sites, the Eago TB353 Toilet is ideal for anyone who wants modern technology with a traditional look and feel. The Eago TB309 Tall Dual Flush Toilet boasts a new tower based flushing mechanism. With all of the convenience of the dual flush system, this model also uses a symphonic flush system which negates any need for flushing related repairs. The tall tank also offers a unique, eye catching design. The rounded bowl means that the toilet can fit easily into a smaller space without looking cramped, but with the added bonus of the tall tank, the toilet doesn’t look too small which can be an issue for the design conscious on most toilets designed to be compact. Another firm favourite on Amazon, the Eago TB309 Tall Dual Flush Toilet is the ideal model for anyone with a smaller space who wants a toilet designed well enough to not look too little to be functional. The Eago TB351 Dual Flush Toilet is designed with comfort in mind. 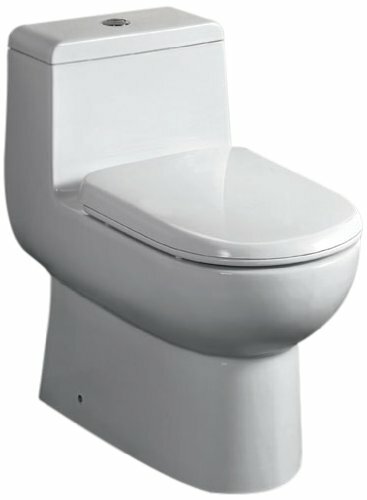 The elongated bowl and comfortable seat make sitting on the toilet a comfortable experience. The fifteen inch height makes it the perfect height for sitting and standing comfortably. 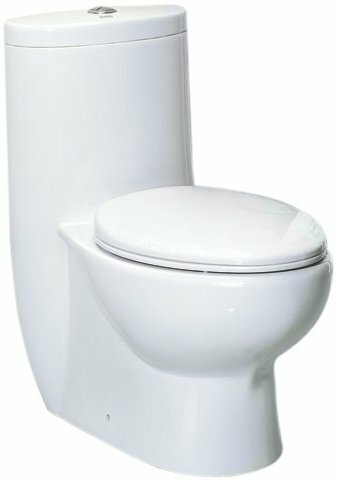 The small tank and curved bowl give this toilet a petite look and the design is unique to this model. Although the Eago TB351 Dual Flush Toilet didn’t score as highly as the other two models on Amazon, we love this functional model and included it in our top three based on its merits. It’s also the cheapest model we included. 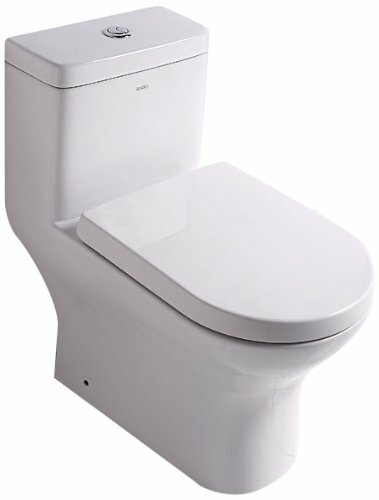 The Eago TB351 Dual Flush Toilet is perfect for anyone who wants comfort and a unique design without the hefty price tag associated with some brands. We hope you have enjoyed learning a little bit more about our top three Eago toilets. Whichever one you choose, we know you’ll be more than happy with the design and function of the toilet!